We kick off 2015 with a huge two tracker by Sam Insecton. 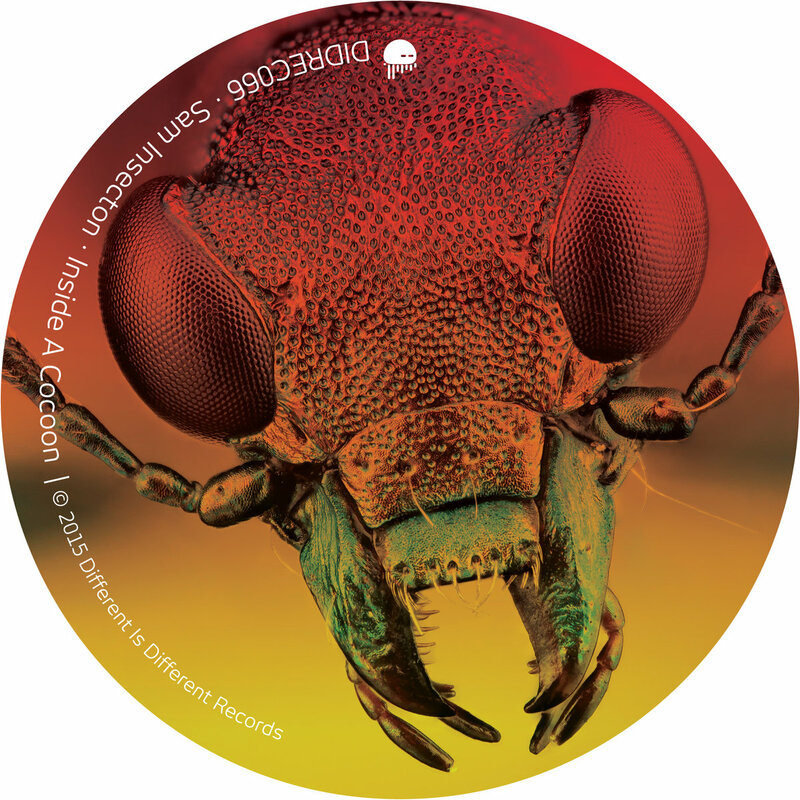 A polish techno producer based in New York city, who makes his debut in Different Is Different Records with 'Inside A Cocoon'. An EP boasting the dark, bass-driven techno you're used to get from us. There are two tracks in this release, 'Cockroach' gets the darker spot, with a hint of psychotic percussion that induces a frenzy-like hypnotic state, while dark, pitched down and heavily effected vocals are all around production to maximize the joy factor. Peak-time business. 'Dragonfly' features loads of synth action, a more subtle take with the same dark intentions. Perfect for taking things down a notch on your set, and proven infalible in any after hours situation. Hope you enjoy our first release of 2015 and we wish everything you want to accomplish comes true on this new year.